Unlike most cars, the 2019 Acura RDX doesn’t have a lot of trims. Instead, it offers two drive options along with three packages that introduce new features you may want in your luxury SUV. We’ll be going over each package to help you figure out which one is perfect for your new 2019 Acura RDX. The first thing you need to decide is which drivetrain option you want. Naturally, the options are front-wheel drive and all-wheel-drive. Both come with the same 272-hp, 2.0-litre engine. The front-wheel drive is the standard and cheapest option with an MSRP of $37,300. The super-handling all-wheel-drive works to put the power where it is needed, allowing for a smoother, more controlled ride. This addition is another $2,000, which brings the starting MSRP for the 2019 Acura RDX SH-AWD to $39,300. For better tech, you can upgrade to the technology package for an extra $3,200. This brings the prices up to $40,500 on the FWD and $42,500 on the AWD. 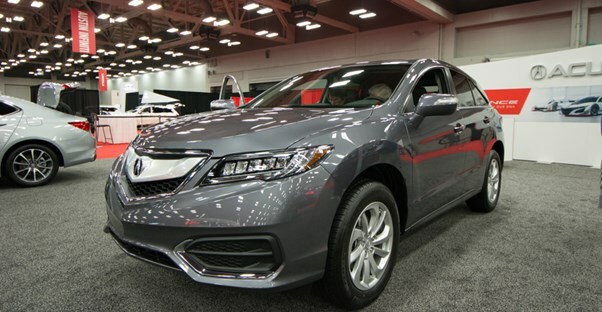 This package adds or replaces standard features that may be found in the base 2018 Acura RDX model. The package includes a few luxury features that may be important to drivers. These include sport seats with a perforated leather-trimmed interior. It also upgrades the front passenger's seat to have power adjustment settings. Drivers will also find improved media and connectivity with the addition of On-Demand Multi-Use Display, GPS-linked climate control, voice recognition for navigation and climate control, and Acura Navigation System with a 3-D view. This system also includes real-time traffic along with traffic rerouting, so you’ll never be late for work—or at least traffic can't be your excuse anymore. You may be surprised to know that the technology package has safety and driver assistance features included as well. You’ll have access to a Blind Spot Information System, dynamic guidelines on the rear camera display, and rear cross traffic monitoring. The A-Spec model is a cleaned up, sportier take on the RDX. It'll come with unique badging, exhaust outlets, and interior trim. The 20-inch Shark Grey wheels and the other gloss black accents on the car will turn heads everywhere you go. The front seats are heated and ventilated. The cabin has a red ambient lighting. Otherwise, it carries the same top-notch features as the other models. This package is $3,000 individually, however, it requires buyers to also purchase the Technology Package for a total additional cost of $6,200. That would make the MSRP of the FWD $43,500 and the AWD bumps up to $45,000. The final package you can choose from is the Advance Package. This upgrades comfort, technology, and convenience to make you look forward to driving every day. The package itself is $4,900, but it, too, also requires the addition of the Technology Package. Therefore, buyers choosing this option will spend an additional $8,100 total. That works out to $45,400 for the FWD and $47,400 for the AWD. The interior of the advance package adds perforated Milano Premium leather seats with heated and ventilated front seats. The front seats also have 16-way power lumbar support and thigh extensions. On the exterior, the RDX will have rain-sensing windshield wipers, remote engine start, auto-dimming side mirrors, and fog lights. Finally, safety features include the addition of front and rear parking sensors for easier maneuverability. Which 2019 Buick Encore Is Right for You?